ITU’s development partnership with high-performance sports equipment giant ASICS enters its second season this year, ready to build on the performances and progress of 2018. 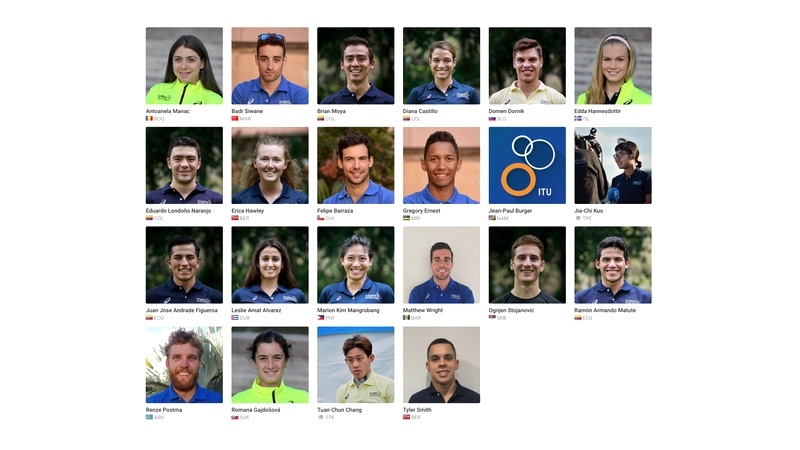 The ASICS World Triathlon Team project provides support, resources and expertise to emerging National Federations’ young athletes with the potential to compete at a World Cup and even Olympic level. Estonia’s Kaidi Kivioja was among those on the team to shine in 2018, securing a first-ever World Cup podium with a stong performance in Karlovy Vary. Kivioja and Finland’s Henrik Goesch are the first names onto the ASICS World Triathlon Team for Tokyo 2020, with Iceland’s Aquathlon World Champion Edda Hannesdottir, Namibia’s Jean Paul Burger, Morocco’s Africa Champion Badr Siwane and Philippines’ Marion Kim Magrobang among those knocking at the door. “The selection of the 2019 World Cup events for ASICS World Triathlon Team project focuses on the second Olympic Qualification Year, to support developing athletes as they seek to increase their Olympic qualification points as much as possible, before coming to the final push in the first half of 2020,” said ITU Senior Development Manager Zita Csovelyak. Applicants should complete an online application form and forward to development[at]triathlon.org on or before the due dates.